NXL is growing and we’re excited to share the new look of our Management Team! 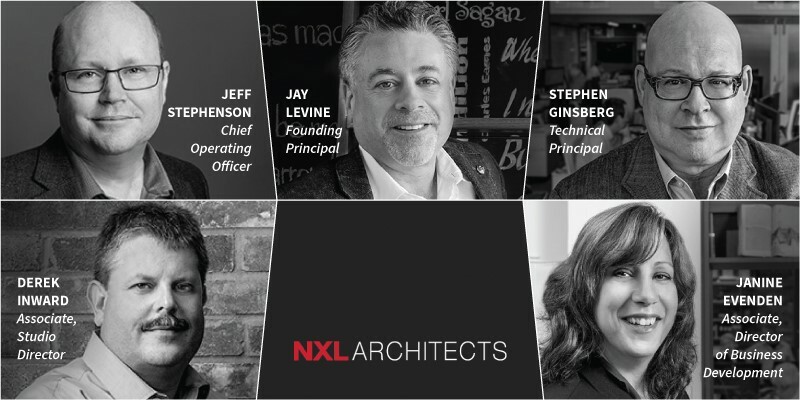 Jay Levine will be leading NXL into the future with an expanded management team, including Stephen Ginsberg, Jeff Stephenson, Derek Inward, and Janine Evenden – most of whom have been a part of NXL’s growth for over twenty years. At the end of this year, David B. Lauzon will be retiring from the firm to pursue other interests. We all wish to thank David for his many contributions as both a Partner and Founding Principal of NXL. You can expect us to continue delivering on our reputation as a leader in the design of specialized Science and Technology facilities. We wish you the best of the holiday season, and look forward to working with you in 2018. Click here to connect with us about this and other exciting NXL news.